Sienna Mist took the blue under Dr. Julio Sumar at the 2008 PAOBA Breeders Showcase. 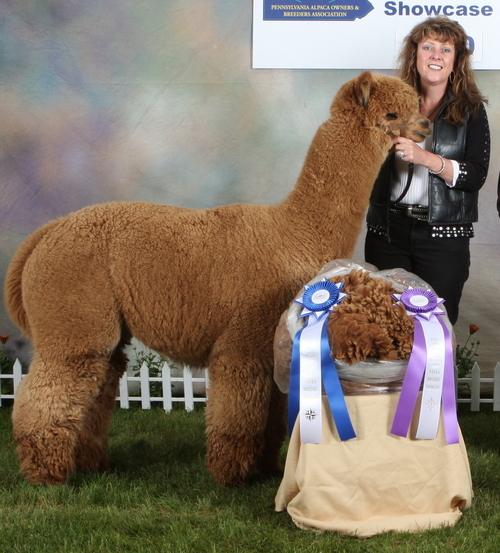 He praised Sienna Mist on his perfect conformation, bone capacity, and his awesome dense crimpy fleece. 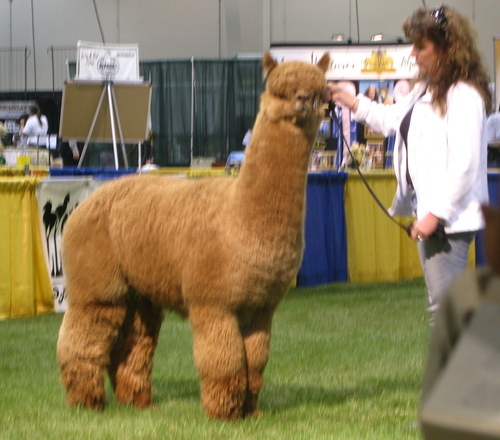 He increased his wall of splendor by adding a Blue Ribbon and Fawn Color Champion Banner for his fleece at the 2008 AFCNA National Fleece Show. The judges comments were, "This fleece is exceptional in every way". Sienna Mist won 2 Blue ribbons for halter and fleece along with the Color Champion banner for Lights (fawns, lights and whites). 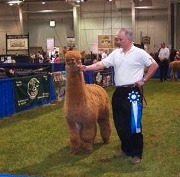 He also won Judges Choice award and Best Crimp award for his fleece. It was a great weekend at the SAFONA Fall Classic show to say the least! 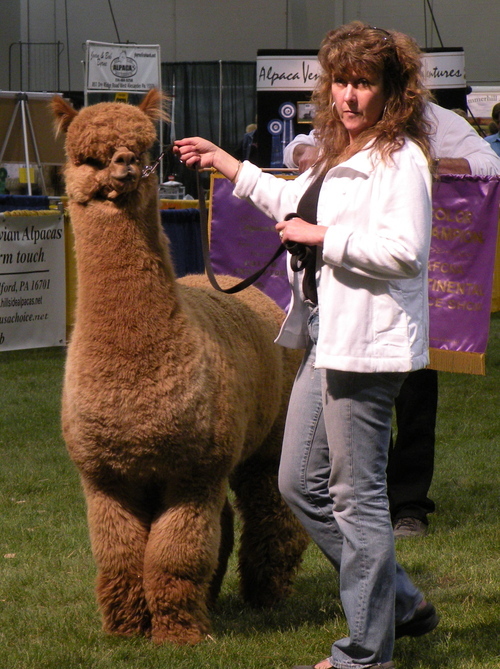 He followed that up a couple of weeks later with bringing home another Fawn Color Champion Banner in Fleece at the 2008 VAOBA Alpaca Expo. This fella is one of a kind! We can't wait to see what beautiful traits his latest offspring will possess! Sienna has thrown amazing cria.